Impact PR & Communications, Ltd., an award-winning Hudson Valley public relations firm, today announced the promotion of two of its team members. Karen Maserjian Shan has been named account manager and Nicole D’Aleo has been elevated to senior account executive. Both Shan and D’Aleo, who previously held the roles of senior account executive and account executive, respectively, have been with Impact PR & Communications for more than two years. Before joining Impact PR & Communications, Shan wrote for magazines and coordinated marketing for a software development company. She also worked as a freelance journalist, most notably for the Poughkeepsie Journal newspaper, for which she won a New York News Publisher’s Association Award for Excellence in 2012 for feature writing for its Living & Being magazine. In her role at Impact, Shan works closely with clients in the finance and banking, construction, medical, healthcare/wellness and non-profit sectors. 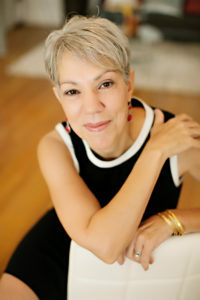 She earned her fine arts degree from Pratt Institute in Brooklyn and is a founding member of the Children’s Writers of the Hudson Valley, sits on the communications committee of Arts Mid-Hudson and is an active member of the Millbrook Literary Festival committee. D’Aleo joined Impact PR & Communications in 2015 as an account coordinator and quickly climbed the ranks to account executive and, now, senior account executive. 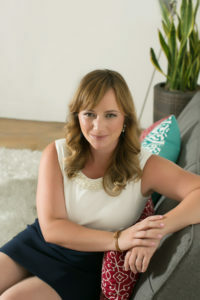 The former English teacher manages the day-to-day needs of multiple accounts, including not-profit, legal, travel and tourism and health/wellness clients. D’Aleo graduated Marist College in 2006 and won the Marist College Anderson Award for Playwriting based on her experience studying abroad in Dublin.